The Didgori armoured medical evacuation vehicle can carry two crew members and four wounded soldiers. Image courtesy of Delta International - company of scientific technical centre Delta. Didgori AMEV is developed by Georgia’s State Military Scientific-Technical Center Delta. Image courtesy of Delta International - company of scientific technical centre Delta. 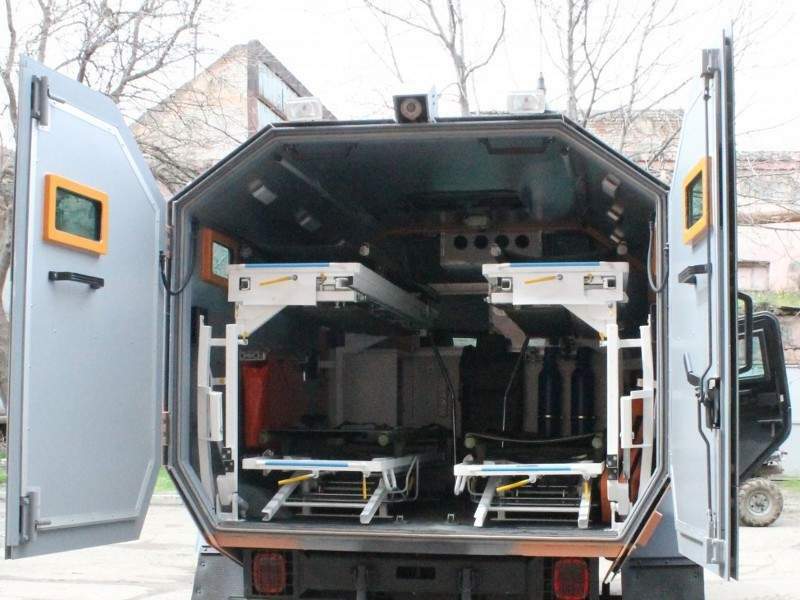 Didgori AMEV’s rear medical compartment can accommodate up to four stretchers. Image courtesy of Delta International - company of scientific technical centre Delta. Didgori AMEV is powered by a 356hp, V8 dual turbo diesel engine. Image courtesy of Delta International LLC - company of scientific technical centre Delta. 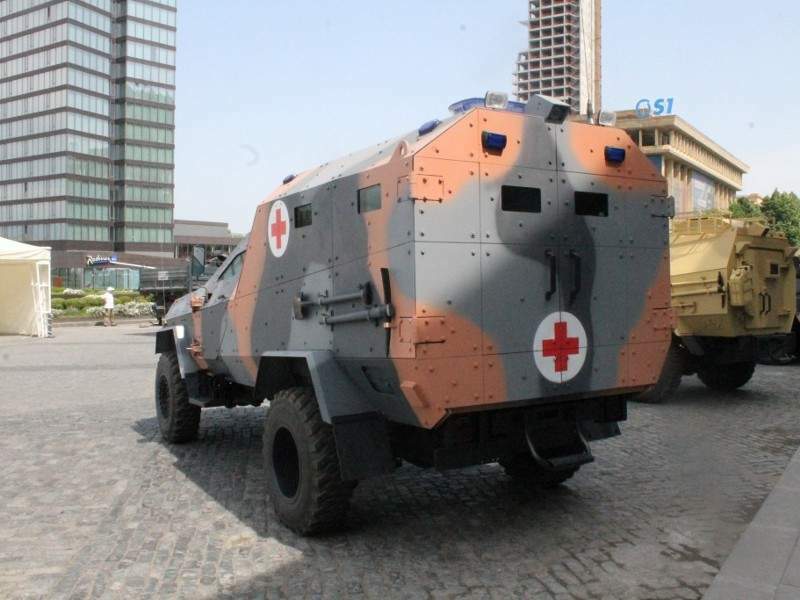 Didgori armoured medical evacuation vehicle (AMEV) is a medical evacuation variant of the Didgori armoured vehicle, which was first unveiled in 2011. The AMEV is developed by Georgia’s State Military Scientific-Technical Center Delta (STC Delta) to evacuate and transport wounded soldiers from the armour and infantry units on the battlefield and provide basic medical care in a highly protected environment. Delta won a tender to supply 100 AMEVs to the Ministry of Defense of Saudi Arabia in January 2016. 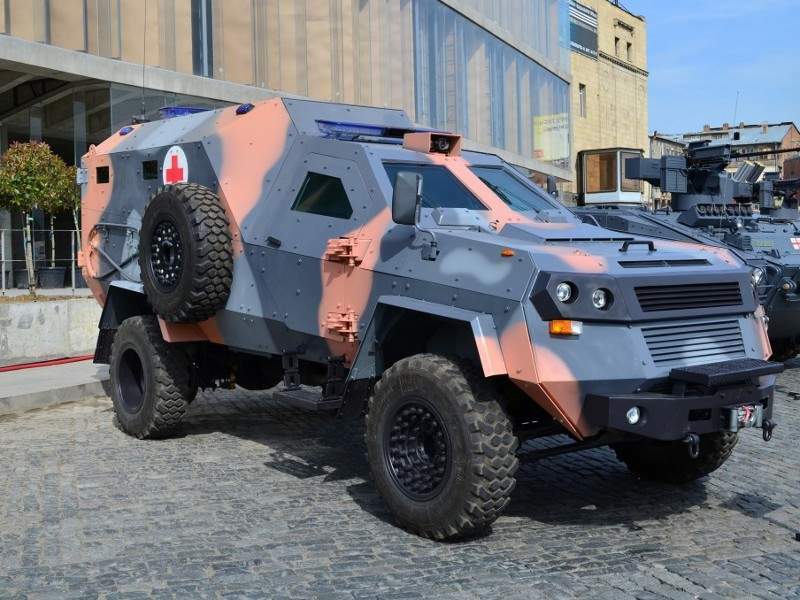 The vehicle also took part in the recently held Eurosatory 2018 international defence and security exhibition in Paris, France. A total of 15 Didgori AMEVs have been built as of July 2018. The Didgori armoured medical evacuation vehicle features a 4×4 wheeled chassis with all-welded steel hull. Its mechanical components are based on the Ford F550 super heavy-duty truck and have been reinforced as per the military requirements. The vehicle has a length of 6.55m, width of 2.39m, wheel base of 3.57m, and ground clearance of 0.5m. The gross vehicle weight and kerb weight of the vehicle are 9,800kg and 9,000kg respectively. The engine compartment is located in the front portion of the vehicle. The driver and commander are seated in the front crew cabin, placed next to the engine compartment. The rear medical cabin provides seating for one nurse and up to four wounded soldiers. The medical cabin is fitted with two rear doors to allow rapid access and exit of the wounded personnel. Six bullet-resistant glass vision frames are provided, two either side of the medical cabin and the remaining four on the twin rear doors. The vehicle is equipped intercom and walkie-talkie systems for communication. Two LED search lights are installed on the roof to support medical evacuation missions at night. Both the crew and medical cabins are equipped with heating and air conditioning systems, as well as fire extinguishers. Featuring EN1063 B7+ armour level, the Didgori AMEV offers all-round ballistic protection for the occupants. 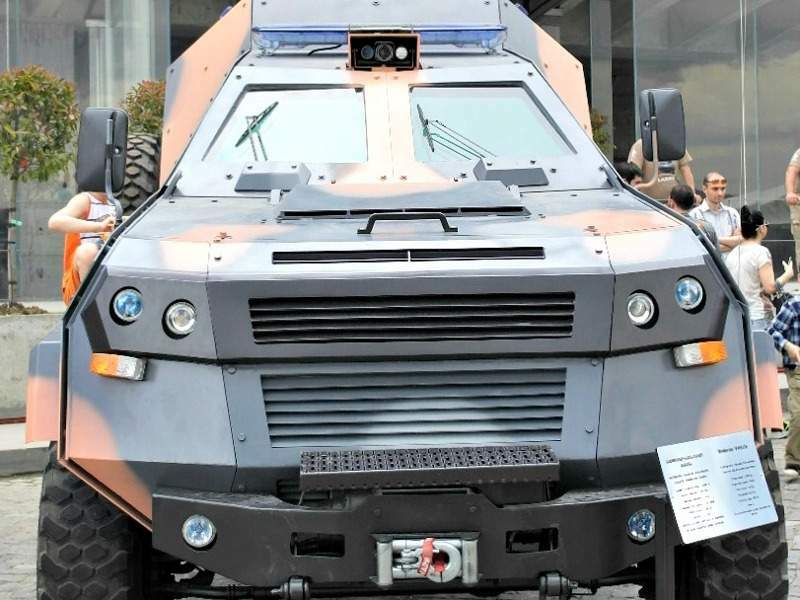 The double-layered Armox 500+ armoured steel plates are attached to the body structure of the vehicle to offer high-level protection from 7.62 calibre armour-piercing bullet rounds and artillery shell fragments fired from short distances. The lower body panels are also fitted with an armoured steel layer to provide protection against kinetic and mine blast threats. The blast protection can be further enhanced by installing add-on armour plates. With a maximum payload capacity of 800kg, the armoured ambulance vehicle can carry a variety of medical supplies and equipment, including four hydraulic detachable stretchers, first aid kit, stethoscope, diagnostic set, complete emergency kit, oxygen cylinder, defibrillator, head immobiliser, pulmonary recovery machine, and HEPA filter. Other key medical equipment carried in the vehicle includes body splint, portable vacuum aspirator, and wall type and portable type sphygmomanometers. The interior of the medical cabin also accommodates a four-seater attendant bench with three-point seat belts. Driven by a 356hp, V8 dual turbo diesel engine, the Didgori medical evacuation vehicle offers a maximum speed of 110km/h on paved roads under any climatic conditions. The engine is coupled to an automatic transmission system with six forward gears and one reverse gear. It offers a cruising range of 600km at 90km/h speed. The vehicle’s heavy-duty suspension system, power-assisted hydraulic steering, run-flat tyres, central tyre inflation system (CTIS), and lockable transfer case deliver high manoeuvrability and superior off-road driving performance. It can climb grades of 60% and side slopes of 30%, and cross straight-edged steps of 400mm. It has a fording depth of 800mm and a turning radius of 7m. The gap crossing ability of the vehicle is 600mm, while the approach and departure angles are 40° and 35° respectively.